It’s no secret that unconscious bias in hiring is a big problem. Not only does it hurt people. It also negatively impacts your company’s talent pool and business productivity. The majority of us are guilty of it. According to TechStars, 92 percent of founders know about unconscious bias. But, only 45 percent have a plan to reduce it in their hiring process. And considering the numerous ways unconscious biases can negatively impact your business, that number needs to be closer to 100 percent. So, the SeekOut team put together this post to help you uncover some new tools geared toward eliminating unconscious bias in hiring. At the risk of stating the obvious, unconscious biases are hard to nail down because they are, well…unconscious. Fact: our brains consume more than 11 million pieces of information at any given moment. But, here’s the catch: we can only process about 40 of those 11 millions pieces. You may not know it’s happening, but your biases affect the way you source, interview, and hire candidates. Which is why we have to raise awareness about the existence of unconscious biases before we can even begin eliminating them. What are Some of the Most Common Forms of Unconscious Bias? I’m sure you’ll agree: the first step in solving a problem is understanding it. Affinity Bias: We like people who are similar to us. Halo Effect: Because we like someone, we tend to think everything they do is good. Perception Bias: We form stereotypes about groups of people that make it extremely difficult to be objective. Confirmation Bias: We seek information that confirms our pre-existing thoughts or beliefs. If all of this has you thinking about your own biases don’t worry — you’re not alone. Unconscious biases don’t make us bad people, but it can make for bad business. How exactly does unconscious bias affect your business? Unconscious biases can creep into every corner of your business, from marketing to management and everywhere in between. But one of the areas where it is most prevalent is in your company’s hiring process. In a study from GapJumpers, about one fifth of applicants who were not white, male, able-bodied people from elite schools made it to a first-round interview. When they eliminated those factors from a recruiters knowledge, 60 percent made it to the first round. That study underscores why it’s important to understand your own biases and those that occur throughout your business. Luckily, there are tools that can help you do that. With the goal of improving “objectiveness of decision-making” and shifting mindsets by “reducing the impact of unconscious bias,” Diverseo’s training and process analysis helps businesses surface and reduce unconscious biases at scale. By conducting a deep-dive into your current recruitment process and offering tangible recommendations to eliminate recruiter bias, Diverseo helps you identify the problem within your organization. Now, you can start fixing it. If you read our previous post about important diversity initiatives for 2018, then you know there’s good reason to make diversity hiring a key initiative for every company. And with the help of new technology, eliminating biases and creating a more diverse workforce is more achievable than ever. Pretty powerful stuff. Laura’s saying that with the use of new technologies, we can slowly start to phase unconscious biases out of the hiring process. 1. Fix the language in your communication with candidates. One of the most common areas for unconscious bias is within written communication, including job descriptions, interview scripts, and even company policies. And while you may not even realize it while writing, certain words cater to different audiences. Take the word “fearless,” for example. It’s often used in job descriptions to show you’re looking for someone willing to take initiative with confidence. But, it’s also proven to skew your talent pool towards men. Again, while the onus falls on you to fix it, technology makes it so you don’t have to do all the legwork yourself. Joonko is another great example of an online tool that helps to remove biases from your hiring process. Joonko integrates with your existing talent acquisition tools — including applicant tracking system, sourcing tools, and even your email platform — to uncover any unconscious biases that may be hindering your business. Users of their platform typically see a 4-8% lift in diversity hiring and a 13-16% faster time to fill. Textio is another fantastic company reducing unconscious bias in hiring. Textio analyzes millions of postings a month and provides real-time guidance on how to improve the wording within your job descriptions. They claim that with a high “Textio” score, you can recruit 25 percent more qualified people to interview. Stripping race, gender, and age from candidate sourcing and resume screening is the easiest way to ensure your team evaluates candidates based on their qualifications — and nothing else. But again, unconscious biases aren’t necessarily overt acts of discrimination. You may not realize the impact your biases have on candidate selection until your process is truly blind. Take, for example, a study on orchestra participants showed that by blinding musical auditions, the number of females in the orchestra increased from 5% to 25%. Similarly, a study of employer responses to racial names found that people with ethnic-sounding names sent out 50 percent more resumes than people with “white” sounding names in order to get a callback. These biases are not intentional — but they happen. And that’s why blinding the sourcing and resume screen process has become a more common practice with employers as of late. SeekOut is proud to be at the forefront of reducing unconscious bias through blind hiring. We’ve developed an in-product tool that allows recruiters to screen profiles without unconscious biases playing a role. SeekOut users can toggle-on “Blind Hiring Mode” and immediately remove information that may reveal a candidate’s race, gender, or ethnicity. We abbreviate names down to their initials and replace images with pictures of our favorite feline friends. In addition to Blind Hiring Mode, SeekOut also offers a variety of new filters to enable your diversity recruiting initiatives. 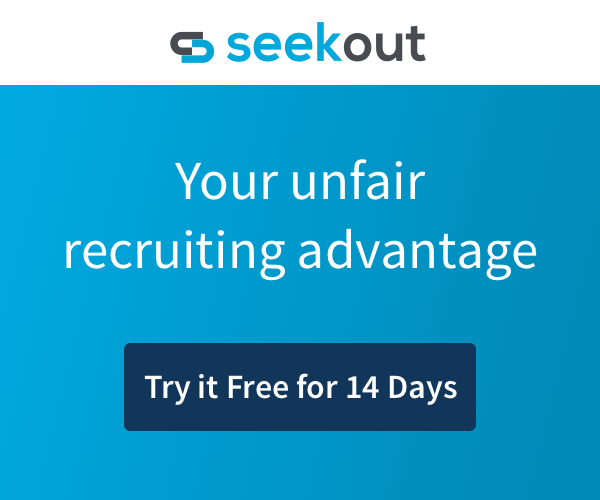 Recruiters using SeekOut can narrow their search results down to women-only, Hispanics, veterans, African-Americans and can even specify their candidate’s country-of-origin. In addition to SeekOut, Talent Sonar helps remove unconscious bias in hiring by blinding your candidate’s identity when submitting resumes to hiring managers. Both platforms help you develop an unbiased talent pool. And with that pool of talent, it’s time to take those same practices into your interviews. Unconscious bias isn’t limited to the sourcing process — it extends into your interviews, too. Bias-free interviews mean that all qualified candidates have a fair shot at moving forward and landing the job. And the easiest way to reduce biases while interviewing is to use a structured interview technique. GapJumpers and interviewing.io are two companies working toward a more structured interview process based on skills and experience and not factors prone to unconscious bias. Interviewing.io launched a platform for interviewing engineers that utilizes voice-changing technology to mask a candidate’s gender and ethnicity. And GapJumpers is taking a unique approach to job interviews by offering “blind auditions”: opportunities for candidates to complete a job-related task to prove their ability before any aspects of their identity — including race, gender, age, or ethnicity — are revealed to the employer. We can all agree that an unconscious bias in hiring is bad for business. But, it’s your responsibility to take action to eliminate the problem from your hiring process. The good news is that technology developed by forward-thinking companies can take the weight off your shoulders. You can start using all SeekOut has to offer — including our diversity filters and Blind Hiring Mode — free for two weeks. Find out why thousands of recruiters are turning to SeekOut for more efficient and effective sourcing and candidate communication.